It’s no secret Mark Zuckerberg is pinning Facebook’s prospects on augmented reality – technology that overlays digital imagery onto the real world, like Snapchat’s signature camera filters. Zuckerberg tipped his hand, just a bit, during Tuesday’s Facebook F8 keynote. 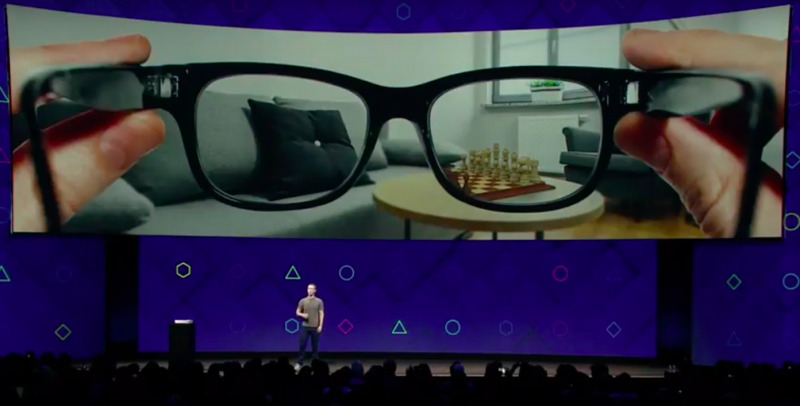 During a demo of the company’s vision for augmented reality – in the form of a pair of easy-to-wear, standard-looking glasses – he showed how you could have a virtual “screen” sitting in your living room, bigger than your biggest TV. Hoe kunnen we al die zonne-energie opslaan?